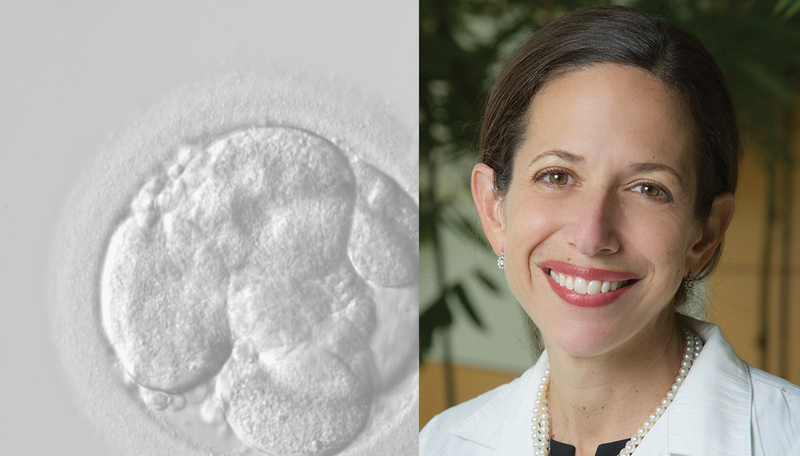 Jacqueline Jeruss, M.D., Ph.D., is determined to bring her research on fertility preservation for cancer survivors to the clinic. In 2015, Jeruss, director of the U-M Breast Care Center, published a high-profile study about the influence of fertility concerns on women’s cancer treatment decisions. It demonstrated that such concerns negatively impact the use of tamoxifen — a drug that reduces the risk of breast cancer recurrence but cannot be taken during pregnancy. “This study showed how important it is to have conversations about fertility concerns and options for fertility preservation, in order to foster compliance with treatments that have a significant impact on long-term survival,” says Jeruss, also associate professor of surgery, of pathology and of biomedical engineering. Jeruss and her husband Lonnie Shea, Ph.D., the William and Valerie Hall Department Chair of Biomedical Engineering at U-M, both research fertility and cancer. They developed a novel model for future ovarian follicle maturation, in which follicles are removed from a young host, matured and transplanted back into the host. The technique could be used for patients whose medical issues preclude the use of ovarian hormonal stimulation. Jeruss and Shea have also created an implantable, biodegradable device, called a scaffold, that captures cancer cells as they spread. The device could be used as a diagnostic technique, allowing for earlier detection and interventions to help improve the treatment of metastatic cancer. Additionally, the captured cells could be used for future research. Their work was highlighted in a blog by Francis Collins, M.D., Ph.D., director of the National Institutes of Health. “To have the NIH director, and former U-M professor, write about the research that [we] are working on in such a thoughtful way was a wonderful honor,” Jeruss says.